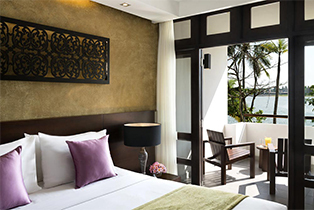 AVANI Kalutara Resort comprises 105 rooms and suites, which have spectacular views of the sea, river and garden with private balconies or patios. 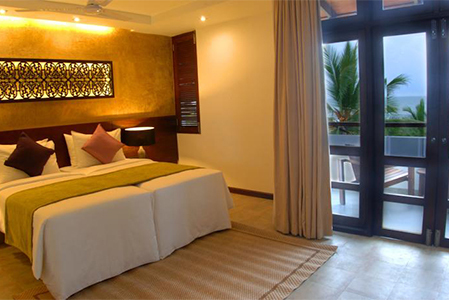 All the rooms and suites are stylishly furnished with contemporary design providing modern comforts. Overlooking the sea and river, the resort restaurants offer a variety of cuisine that focus on international buffet, traditional Asian cooking with a modern twist for you to dine and enjoy. Designed around breezy open corridors, lush lawns and frangipani gardens, the tropical feel of our resort comes with an appealing choice of accommodation. 99 Superior Rooms and 6 Junior Suites feature a private balcony or patio so you can chill out to views of the rolling Indian Ocean, peaceful river lagoon or vibrant tropical gardens. Inside you’ll find earthy tones, stylish modern décor and all the essentials you need, from air conditioning, satellite TV and free WiFi, to a refreshing rain shower, mini bar treats and tea and coffee making facilities. 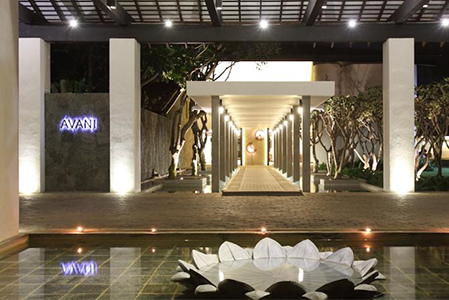 Contemporary and stylish with a touch of Sri Lankan design, Standard Courtyard View Rooms at AVANI Kalutara are invitingly cosy. Sip your morning tea or coffee on the balcony or terrace, before stepping under the rain shower to get ready for a day in paradise. Come back for an afternoon snooze, or laze in bed and watch a movie with a mini bar snack and drink. Keeping in touch with friends and family back home is easy with free WiFi, and a comfy bed with the perfect room temperature promises a good night’s sleep, so you’ll wake up feeling totally refreshed. 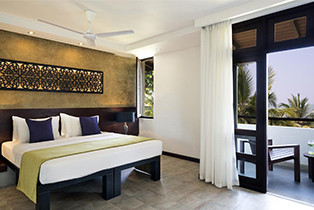 Enjoy a refreshing stay in a Superior Lagoon View Room at AVANI Kalutara. Take a seat outside on your balcony or terrace with a relaxing lagoon view and island breeze – perhaps a book and cool drink in hand. Sleep well in your comfy bedroom, designed in fresh modern style, and make the most of the details that matter. Help yourself to refreshments and surf the net or just snuggle up and watch TV. 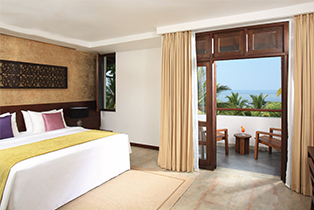 If you love exotic sunsets and homely comforts, a Superior Sea View Room at AVANI Kalutara is the ideal choice. Facing the Indian Ocean, your balcony or terrace is the perfect spot to watch beach life throughout the day and a magical sunset each night. Matching fresh design with creature comforts you can unwind in any way you like, whether you fancy quiet time, TV time, a skype call or email home. 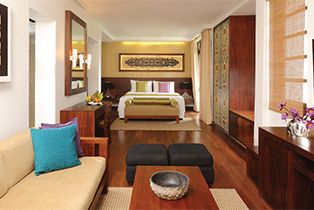 Plenty of space, tempting upgrades and a dreamy ocean view make a Junior Suite stay at AVANI Kalutara a real pleasure. Sit outside and watch the waves or put your feet up in the air conditioned lounge. After a lazy beach day or sightseeing trip, sink into a bubble bath, select your favourite mini bar drink, and hang out at your very own bar until it’s dinner time. 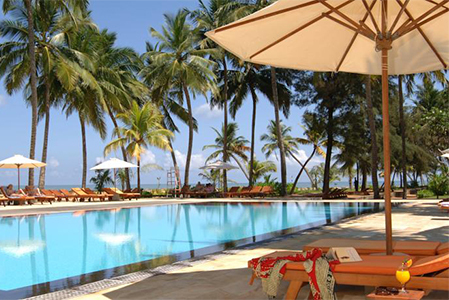 Palm Restaurant: Overlooks the sea and river which offers international buffets and Sri Lankan delights. Saffron Cafe: It offers an a la carte menu and has an outdoor terrace overlooking the sea which serves a mix of modern cuisine and traditional Sri Lankan specialities.